Grown-Up Hair Accessories — Anna Akbari, Ph.D. The biggest style killer is routine. Many of us get trapped by our tried-and-true looks. However, there are plenty of small ways to shake up that haircut you’re so proud of without dyeing it or dramatically cutting it. Hair accessories have a bad rap: they’re either frivolous adornments for little girls, or as mundane and basic as the practical elastic hair tie. Strike a happy medium with these mature and beautiful accessories that you can easily play around with to suit your style. 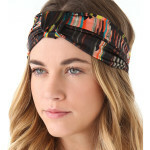 Eugenia Kim Silk Turban Headband The turban-style headband is an extraordinarily versatile accessory. Worn low on the forehead, as pictured, it definitely hearkens back to a free-spirited, boho vibe. However, there’s plenty of other ways to wear it. Sitting higher on your head, it can work as a clean, traditional headband, accentuating a top knot bun or long waves. You can also wear it doubled around as a lushly-decorated ponytail holder. Colorful printed silk and a subtle, flat tie make this Eugenia Kim number easy to match. 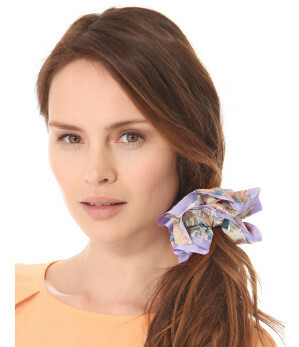 Marc by Marc Jacobs Drew Blossom Chou Chou Scrunchie Finally, Marc Jacobs is breaking the scrunchie taboo. Don’t panic – this one looks great without stretch pants, neon, and hairspray. The dainty floral pattern and lilac grosgrain ribbon offset the scrunched texture. It looks great embellishing a low ponytail, paired with a shift dress and navy blazer. Art Deco Hair Comb Art Deco came before other vintage trends, but the style is still applicable today. Jewel tones and bold geometry make the hair comb less bridal, but still beautiful. Slip this piece into a bun or use it to get shorter hairs out of your face. 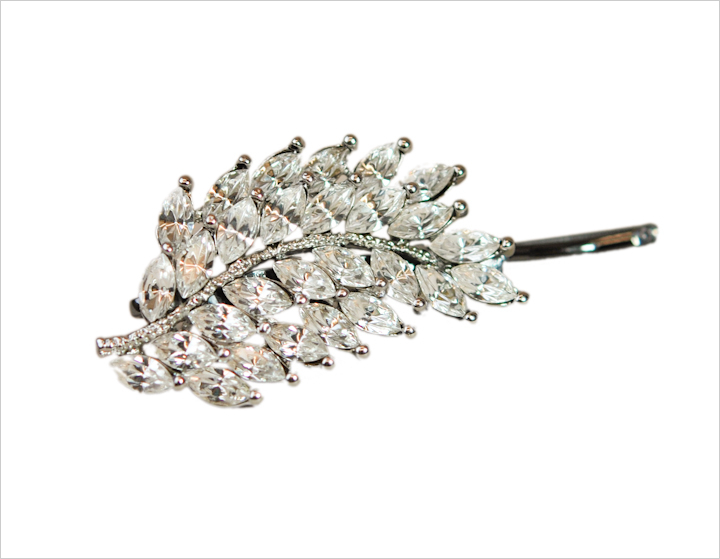 Jane Tran Leaf Crystal Bobby Pin Bobby pins certainly are a useful invention. I never travel without a pack of them, in case I end up wanting to curl my hair, create a slick bun, or secure a braid. However, they don’t have to be utilitarian and hidden away in your hair. 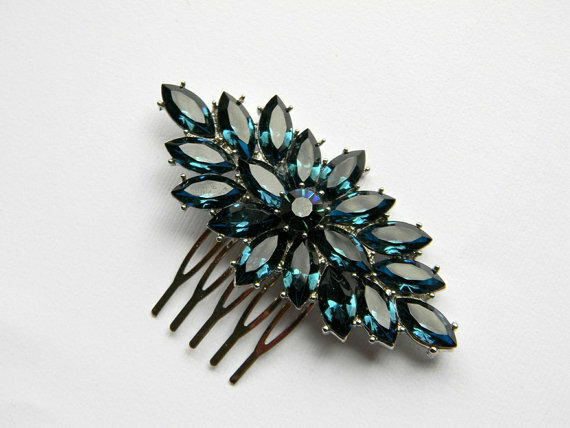 This crystallized pin slips into your hair as easily as a regular bobby pin, but adds some sparkle for a special occasion. Check out both the black and white colors – they can pop or blend, depending on your hair color. 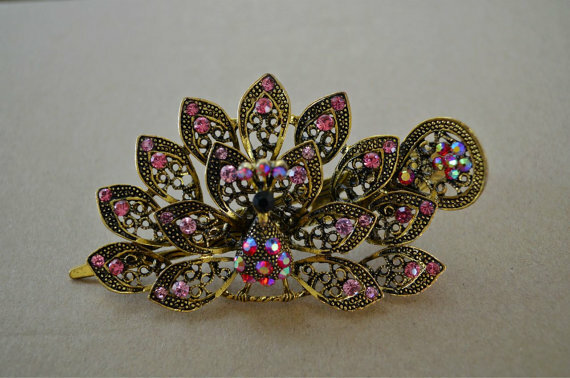 Vintage Hair Clip This pink and gold hair clip is large and intricate, but sophisticated. You can nestle it into a bun or updo, or use it to clamp back a section of hair – either in a half ponytail, or cleanly pushed off to the side. I love that the subtle peacock design references a natural motif, but in a stylized way that’s still mature and not overly obvious. You can offset it beautifully with a delicate peach blush or other clean, light beauty looks.